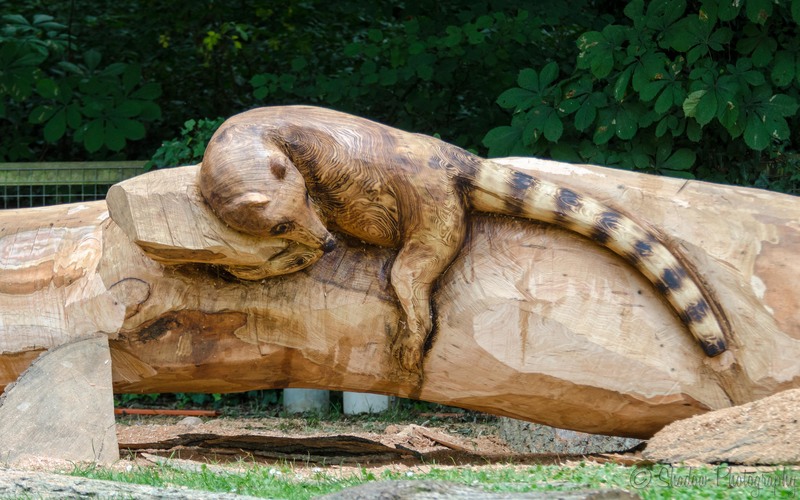 Chainsaw Carving, a photo by Stavros043 on Flickr. As regular readers will know, John and I support wildlife and animal organisations as much as we can, and we enjoy having a stroll round some of our local zoos. 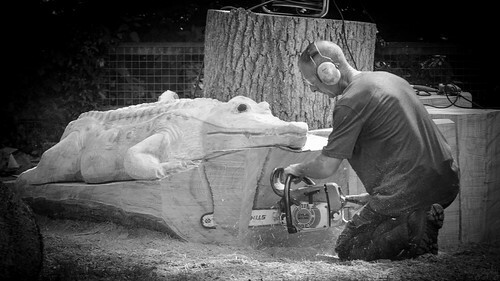 We took a wander through Marwell Wildlife Park the other day and came across a talented man with a chainsaw. This man can work a log of wood into the most intricate and unique sculptures of natural and abstract objects from wizards and sharks and dragons to flowers and giant love-hearts. 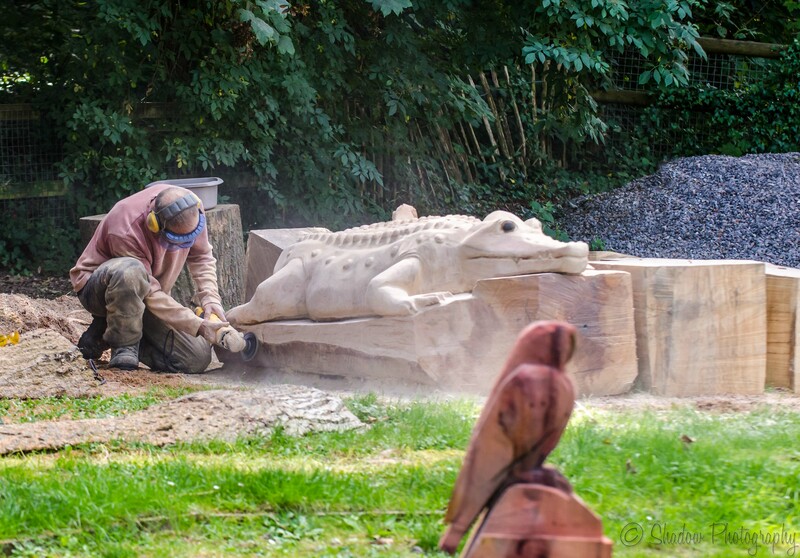 His latest project at Marwell is a totem pole and with a crocodile at the base. The chainsaw was really noisy and he was wearing protective equipment and clothing but he used that chainsaw professionally and, like a hot-knife cutting through ‘whipped-cream’, he created some impressive and realistic shapes. 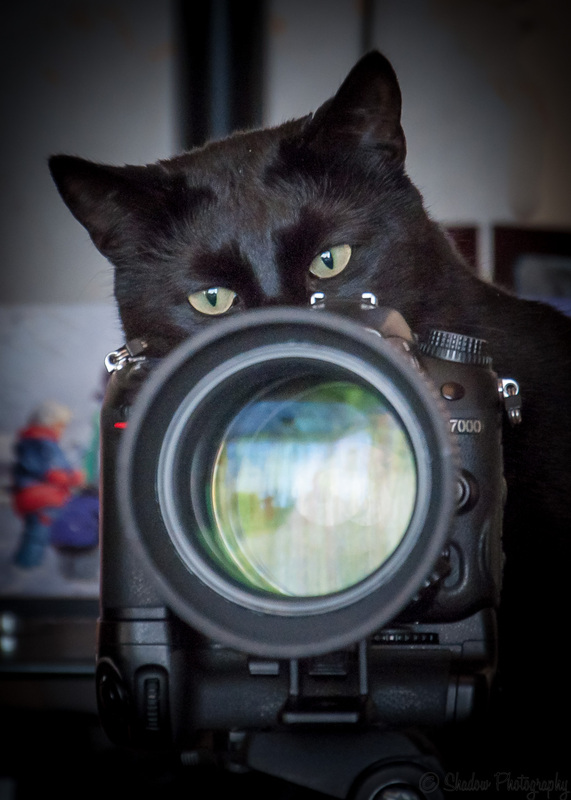 As a member of the feline species, I have an impressive shape myself, sleek and sassy, so I sat for a while posing near-by just to peak his interest!